I live in a small town with a strong Dutch heritage. Some of that heritage, as far as I can tell, is a fondness for baked goods and sweets–heavy on the almonds. As your average Pella citizen, I’m most likely to stop into the bakery for the bread and rolls. If calories and health didn’t matter and I could eat these treats without consequence, my favorite would have to be Stroopwafles, those molasses cookies shown in the photo, and the Dutch letter’s fat cousin, an almond blanket. Family members swear by the sugar bismarks. 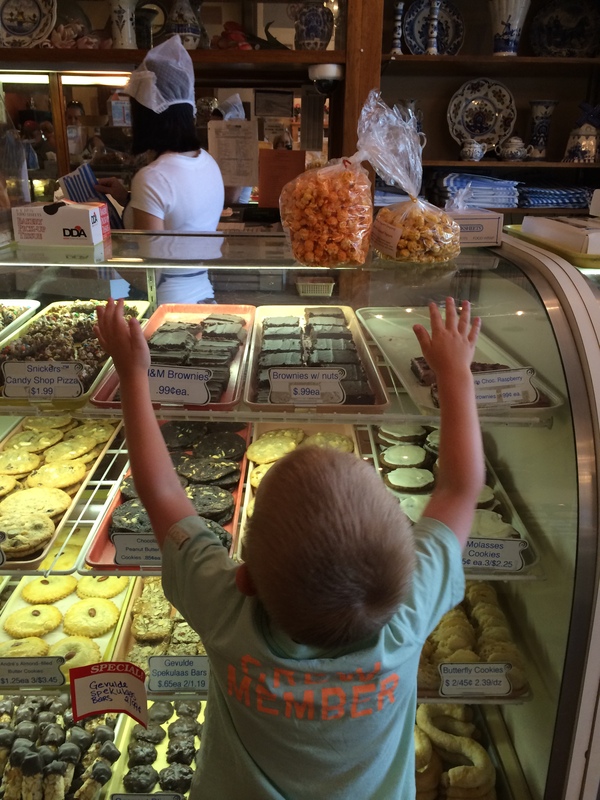 Any other thoughts on what to get when visiting Pella?